This entry was posted in Ring of Honor and tagged Christopher Daniels, Kazarian, Matt Jackson, Nick Jackson, Scorpio Sky, SoCal Uncensored, The Young Bucks, Travis Gordon on April 7, 2018 by TJ Hawke. This entry was posted in Ring of Honor and tagged Adam Cole, Christopher Daniels on March 10, 2017 by TJ Hawke. This entry was posted in Ring of Honor and tagged Christopher Daniels, Kyle O'Reilly on November 3, 2016 by TJ Hawke. 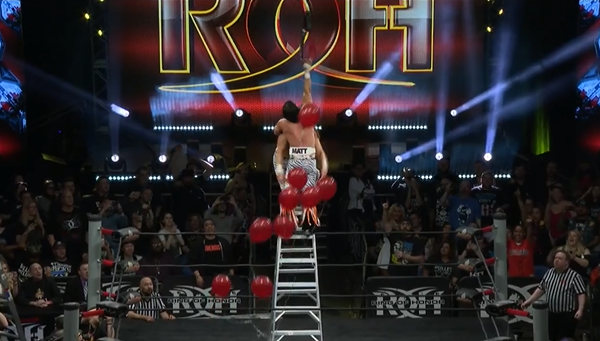 This entry was posted in Ring of Honor and tagged Alex Shelley, Bad Influence/The Addiction, Chris Sabin, Christopher Daniels, Kazarian, Matt Jackson, Motor City Machine Guns, Nick Jackson, The Young Bucks on September 30, 2016 by TJ Hawke. This entry was posted in Ring of Honor and tagged Bad Influence/The Addiction, Cheeseburger/Leech Landa, Christopher Daniels, Jushin Liger, Kazarian on May 8, 2016 by TJ Hawke. This entry was posted in Ring of Honor and tagged Bobby Fish, Christopher Daniels on April 1, 2016 by TJ Hawke. 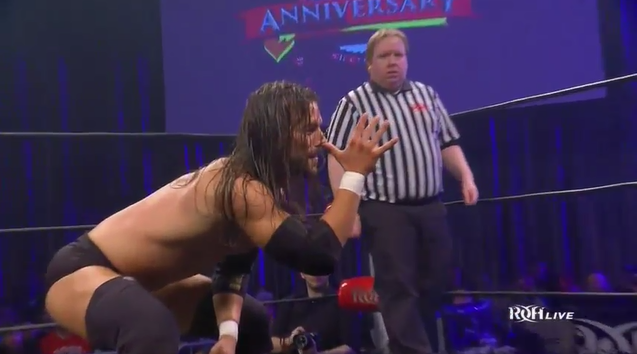 This entry was posted in Ring of Honor and tagged Alex Shelley, Bad Influence/The Addiction, Chris Sabin, Christopher Daniels, Kazarian, Matt Jackson, Motor City Machine Guns, Nick Jackson, The Young Bucks on March 12, 2016 by TJ Hawke.